And of course: Dr. Brad’s Wellness Column, Suburban Acres Green, CrimeView stats, Announcements, and more. 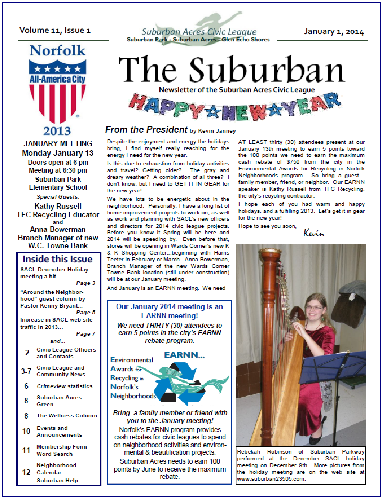 This entry was posted in Uncategorized and tagged January 2014 issue, Kenny Bryant, newsletter, Suburban Acres Civic League, The Suburban, Wards Corner Task Force. Bookmark the permalink.